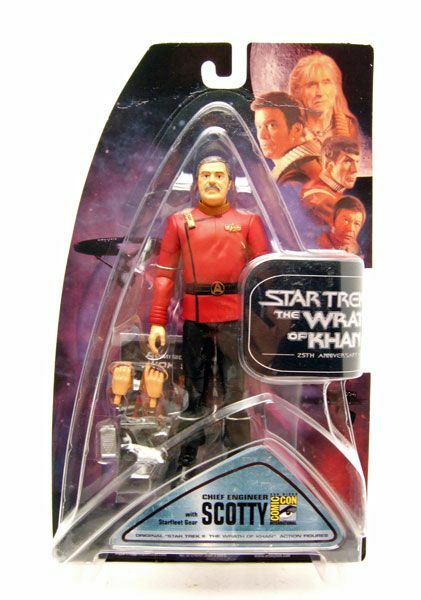 Scotty was released as part of the second wave of "Star Trek II The Wrath Of Khan" figures. The entire wave was comprised of retailer exclusives launched at San Diego Comic-Con. 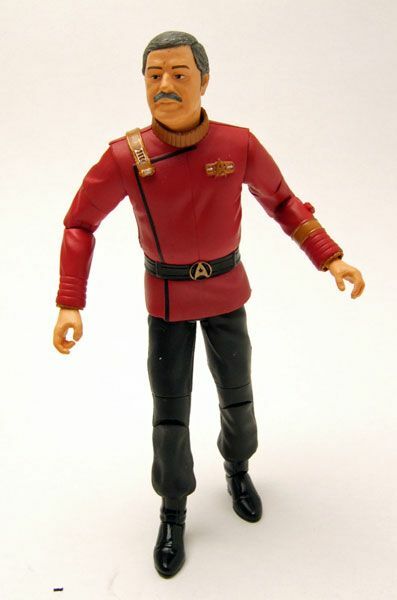 The Rundown: The third and final installment of red-movie-uniform Scotty figure spotlights! This DST version from TWOK really is the best of the bunch and shows just how far toy manufacturing has progressed in the last 25 years. Just look at that body sculpt! 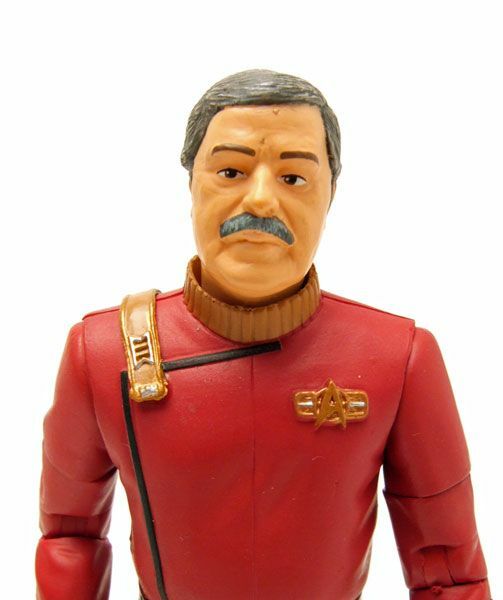 Now I'm a huge fan of the 3&3/4" scale, and I'm a huge fan of Playmates style figures...but even I have to admit the sculpt on this guy puts the other 2 Scotty figures to shame. DST did a great job of capturing the look of these uniforms. Not only that, but there's quite a bit of articulation still! 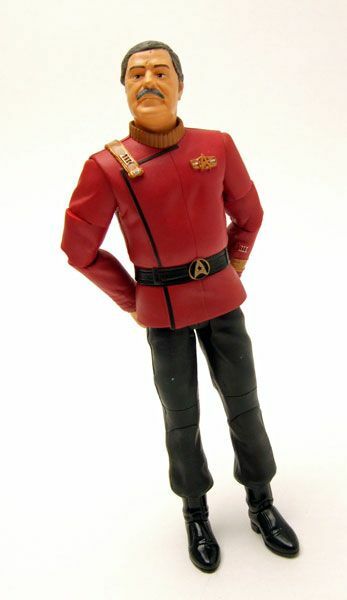 It's the best of both worlds here (no TNG pun intended). 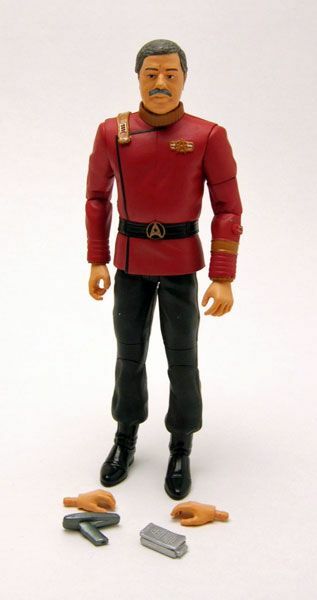 The DST TWOK line does some reusing of parts between figures, but it's understandable here. If the character has the same build, I don't see a problem with a generic body as long as it's differentiated somewhat. That's exactly what DST did here; Scotty reuses the Terrell body with slight changes to make it fit the rank and division of Mr. Scott. The figures may utilize the same body, but there's enough changes to make them look totally different on a shelf. 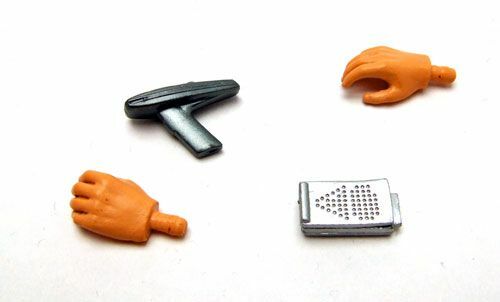 Accessories: Scotty includes 2 extra hands, a phaser, and a flip-open communicator. 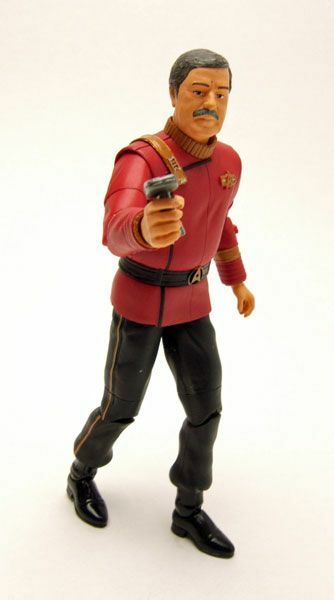 TWOK Scotty is a really nice figure and shows just how far Trek figures have come. DST may have some misses over time, but thankfully the TWOK line isn't really one of them. The only thing that stinks is that there's no telling how much you'll have to fork out for this one. 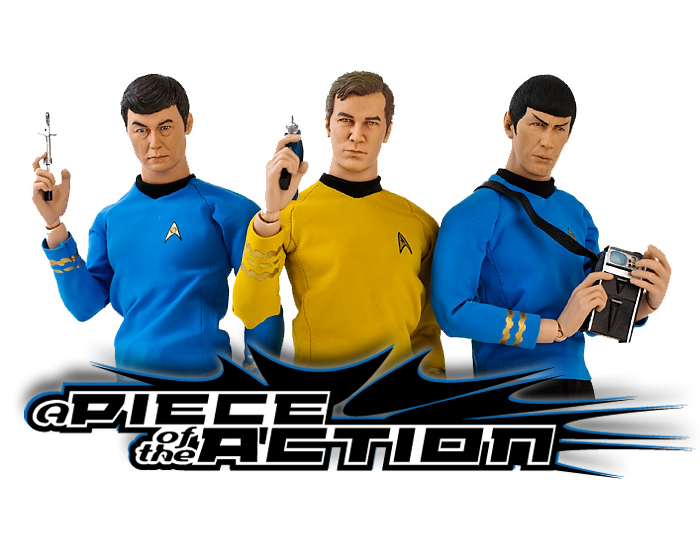 The original retailer for him (Action Figure Express) sold out a long time ago, and his price ranges pretty widely on the secondary market. I've seen him go for as little as 10 bucks (which makes him a must buy) to as much as $50 (which moves him into the "really gotta think about" territory). Shouldn't Scotty be "the fat one?" The figure needs bulking-up. I love your site, btw. 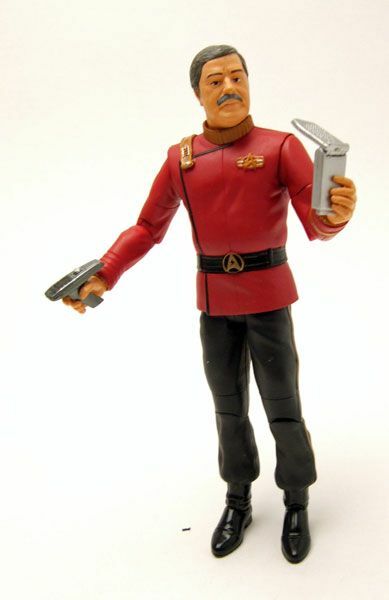 From the pictures I would say I prefer the Playmates Scotty. Yeah I hate the face. Looks like Chief Engineer Charles Bronson.